We source the highest quality cacao beans from around the world to create small batches of chocolate using traditional techniques. Our small factory is located in Nelson, New Zealand where we sort, roast, crush and classify, winnow, grind and conche, age, melt, temper, mold, and wrap by hand. Our process uses minimal ingredients and is focused on preserving the natural flavours within the cacao to bring fine and exquisite chocolate. 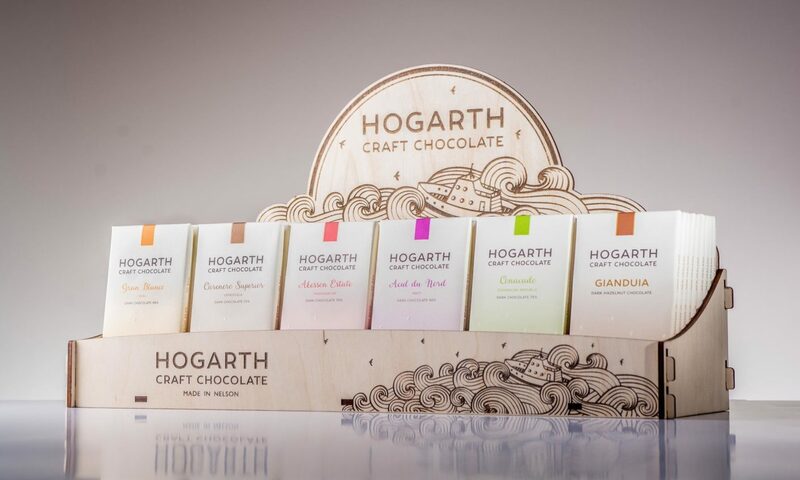 We developed a chocolate bar and packaging design which subtly illustrates Karl’s journey from sailor to chocolate maker, and the voyage the cacao takes to reach our distant pacific island. Our wrappers are embossed and printed on beautiful antique Heidelberg machines using high quality specialty paper stock.